Our club serves undergraduate and postgraduate students from all backgrounds. We recognise that students, especially those in the STEM subjects, are eager to find a welcoming venue to practice their speaking skills. We would also like to increase our diversity and reach out to students who would benefit from this club. Our club essentially provides the same service as professional public speaking coaching, but at a membership fee that is a fraction of the typical price of coaching. 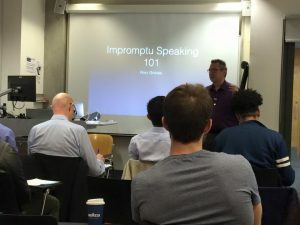 Imperial College Speakers offers mentoring in which experienced members guide new members through the first speech projects and help them understand the meeting roles. This builds an atmosphere of fellowship among club members from diverse backgrounds. 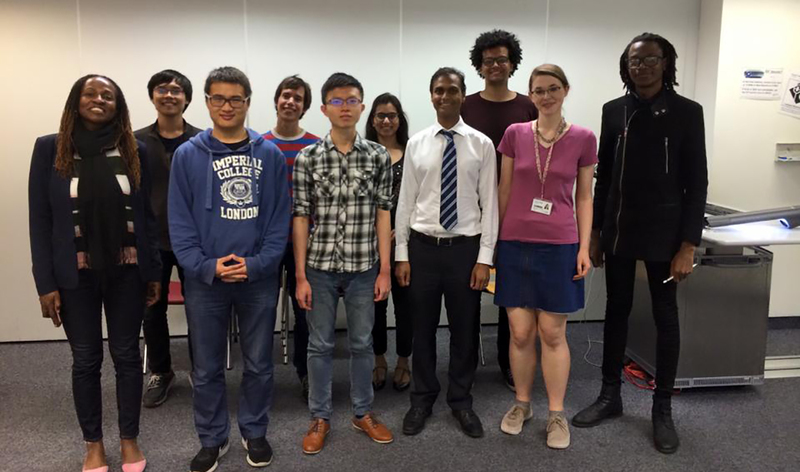 In addition, our club is a gateway to the wider Toastmasters community in London. By connecting with other Toastmaster clubs, our members have the opportunity to meet professional public speakers and partake in club events such as speech contests and conferences. The club meet every 2nd and 4th Thursday of each month during the autumn term.